It’s interesting to consider what I’ve learned about lettering vehicles over the years. Although I am getting pretty old, at least I didn’t begin lettering covered wagons, or Ford Model T’s! But I did begin lettering vehicles before the Golden Age of Computer Graphics, when vehicles were still lettered with a paint brush and a can of paint. 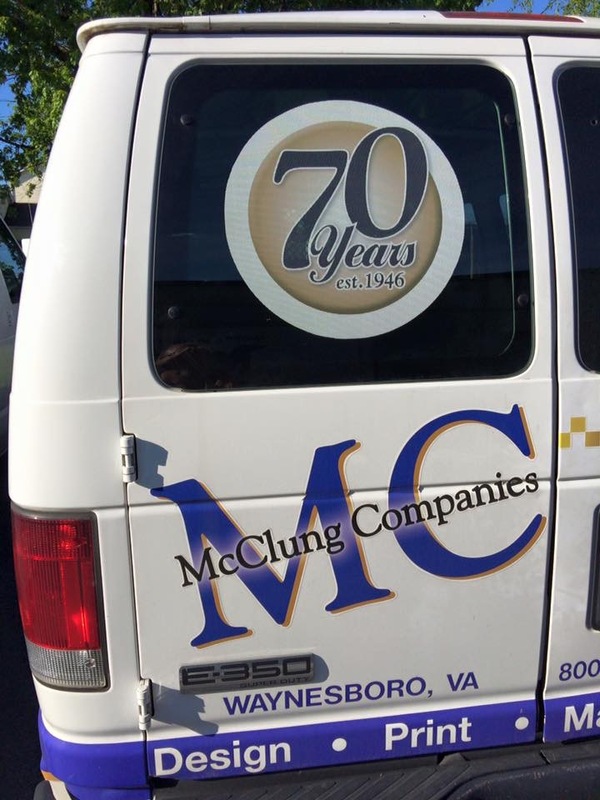 I remember doing my first fleet of vehicles for an electric company in Silver Spring, Maryland, Neary Electric, that used a neat and intricate letter style with red, white and blue inset elements in each letter, all done by hand using a hand-drawn and hand-pounced pattern that I made in my shop. The year was about 1986 or 87 when I still resided in Maryland. 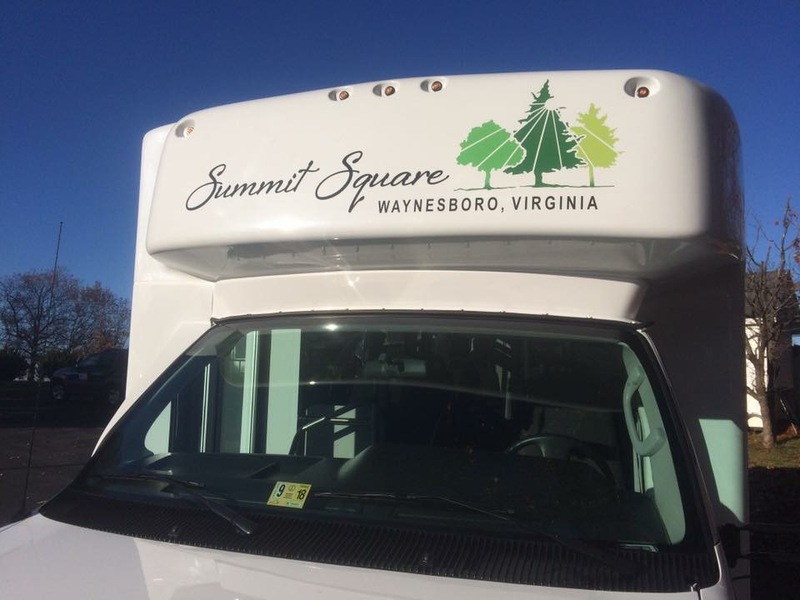 When I moved to Waynesboro, VA a few years later I continued to travel to Silver Spring to letter new vans for the company for a little while. After the computerized plotters became commonplace, it just didn’t make a lot of sense to hand letter trucks any more. 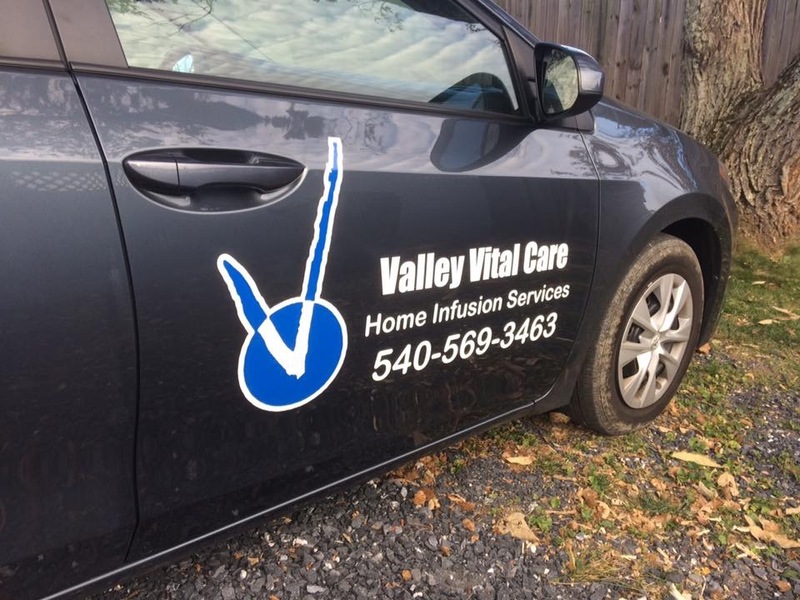 The many advantages of using vinyl graphics for vehicles easily outweighed paint: First, red vinyl lasted much longer than a few years out in the UV rays from the sun like sign paint did. Back then it was good if you used a 5-7 year vinyl product, but nowadays a 10-year lifetime is the new standard for cast vinyl sheeting. You may wonder what cast vinyl is? There are two types of sign vinyls, cast and calendered. Cast films are considered the industry premium. These films start in a liquid state with the ingredients blended together and then poured onto a casting sheet. The casting process produces a thin gauge film—usually 1- to 2-mil thick. By casting film on a sheet, the film stays in a more relaxed state, resulting in a durable, flexible, conformable and dimensionally stable film that retains color well. These films are ideal for complex surfaces such as vehicles and where a smooth finished look is expected. The expected life of cast films can usually reach 10 years before any discoloration or adhesive loss begins! Calendered films are often called intermediate or short-term films. They start with a molten mixture that is extruded through a die and fed though a series of calendering rolls. The rolling and stretching process produces thicker films (3- to 4-mil is common) that have some inherent memory, making the film less dimensionally stable and less conformable with a tendency to shrink when exposed to heat. However, they are less expensive, somewhat more scratch resistant, and their heavier weight makes them easier to handle than cast films. These films are well suited for flat and simple curved applications on a variety of substrates. Expected lifespan of calendered vinyl films outdoors can range from about one to six years. 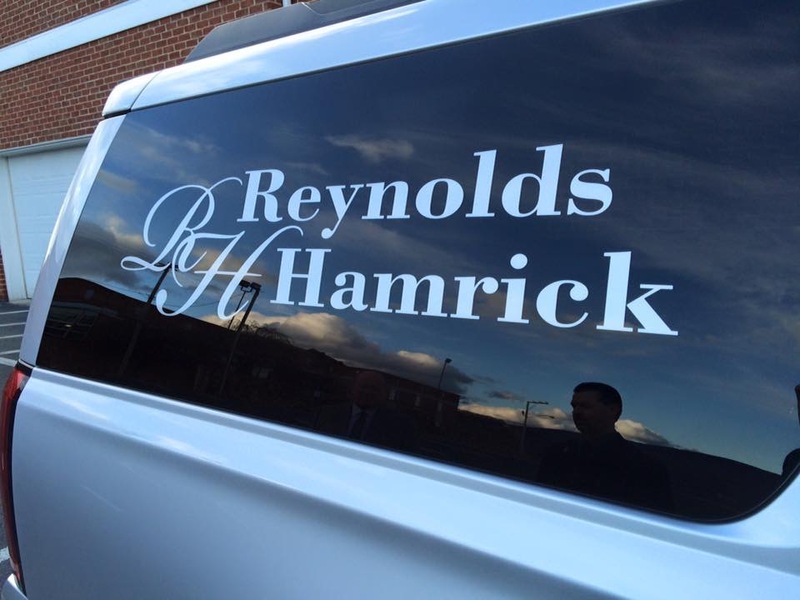 Reynolds Hamrick Funeral Home utilized metallic vinyl letters for a customized look. Today, wrapping vehicles is the new trend, and it makes an effective statement out there on the roadways of the world. I tend to shy away from full vehicle wraps and focus on vehicle graphics projects that don’t involve fitting the vinyl films over complex vehicle contours, which is very tricky. I stick with simplified vehicle lettering jobs. 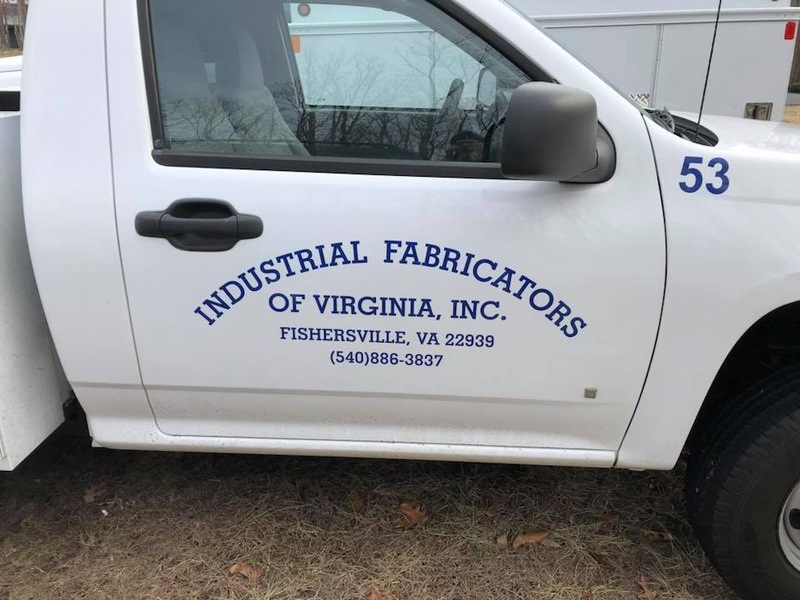 I have the capability to take photos of each side of the vehicle and superimpose the graphic designs onto each sign on customer proof drawings. That way the client can see exactly how the graphics will be integrated into the vehicle before the project begins. I am able to letter vehicles up to a standard van size in my workshop garage bays. Anything larger I usually tackle at the customer’s lot or garage. Simple designs are usually one day projects, but more detailed designs may take 2 or 3 days to complete. It’s usually a good idea to stick with one sign company to letter your vehicles if you have a fleet. That way you can be assured that the designs and colors are consistent. 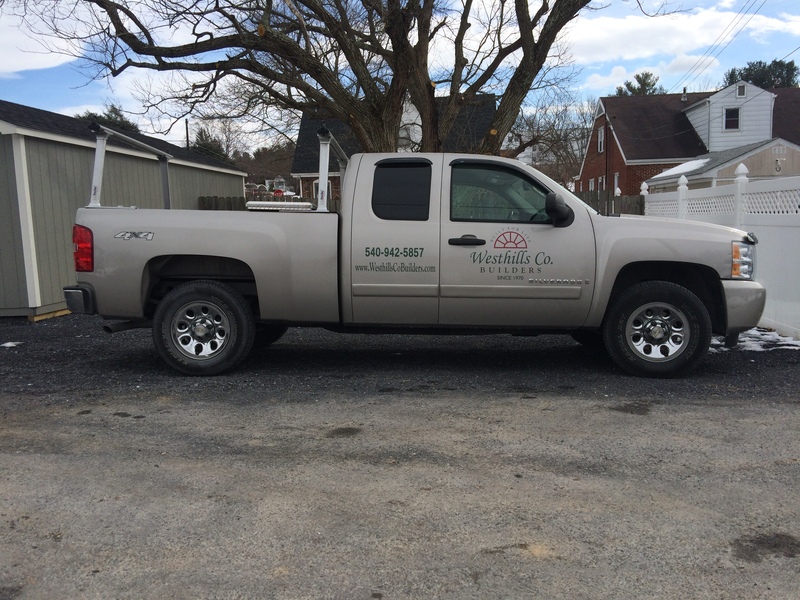 Branding your vehicles is one important element of a well-branded company. Matching Pantone Colors is easy with digitally printed 3M materials. 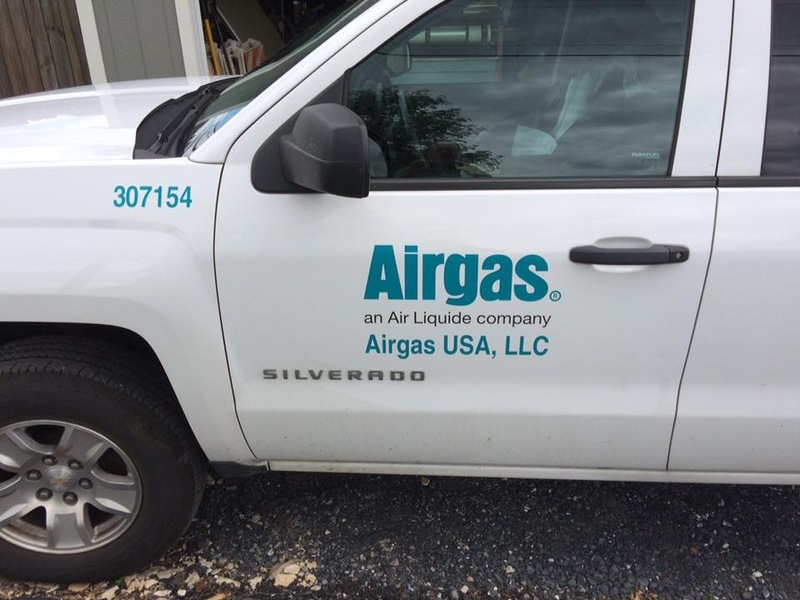 If you have new vehicles that need lettering or old ones that need re-branding, contact Augusta Sign Company, serving Staunton, Waynesboro, and Augusta County, and neighboring areas, with quality vehicle lettering services. I completed my first vehicle graphics project in my new shop today. 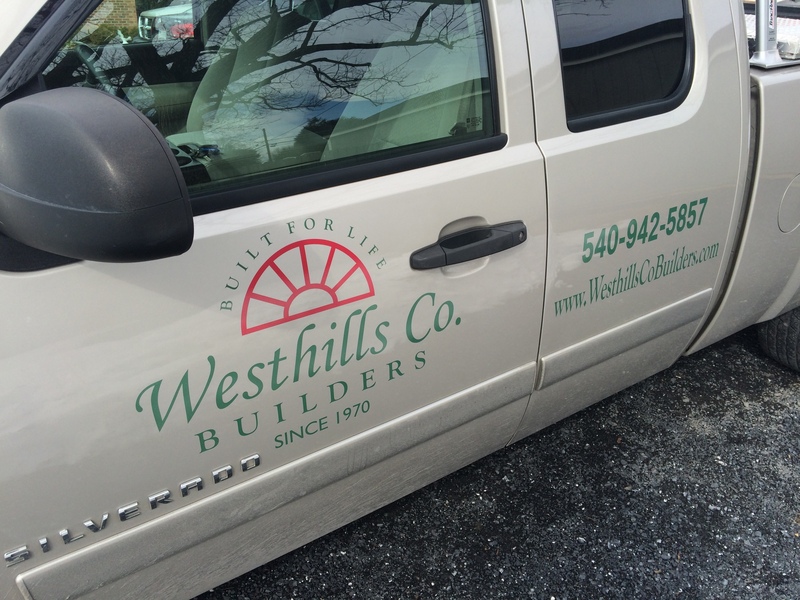 It was a truck lettering project for a quality Waynesboro, VA builder, Westhills Company. Owner, Carl Kerby, chose Augusta Sign Company to brand his new Chevy Silverado and I was I able to letter the doors and tailgate of the pick up truck in an hour. Exact Pantone Color match possible upholding logo color specifications. 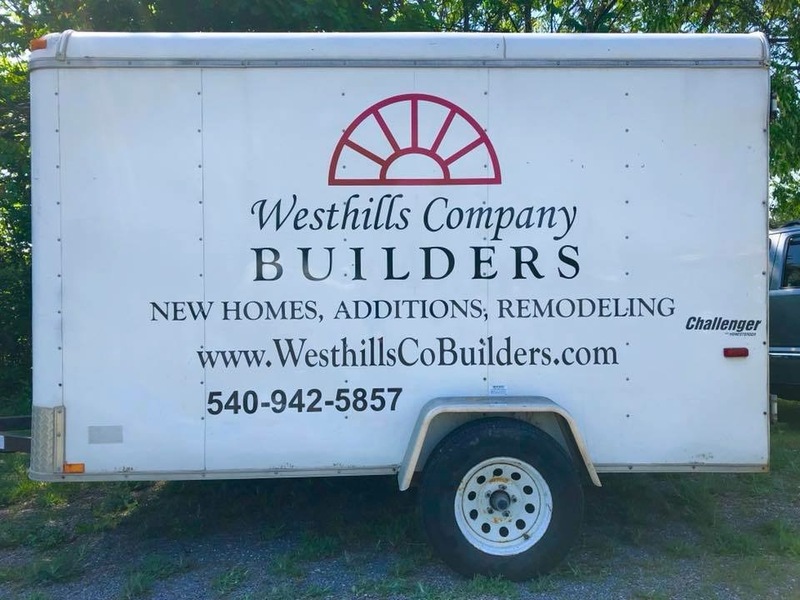 Pick Up Truck Signs (2 doors and tailgate) typically range in cost from $175- $775, depending on materials, complexity of designs, and size of fleet. Simple designs, minimal type, and standard vinyl colors would cause a project to fall in the lower ranges, and more complex designs, gold leaf, shading, outlines, clear-coating, etc., would cause the project to fall in the higher price zones. Usually Augusta Sign Company’s design fees are included in the overall price. I’ll be looking for the Westhills truck out on the street. Fresh, bright, colorful vehicle graphics are an effective and economical way to promote your brand in the community you serve…every day!